The word “Uncopyrightable” has the interesting property that each of the fifteen letters it contains is only used once. In the English language, there is no word longer that uses distinct letters (each letter used in the word is used once, and once only). 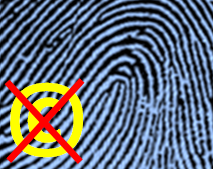 Dermatoglyphics (from ancient Greek derma = "skin", glyph = "carving") is the scientific study of fingerprints. Below are tables of the distinct-letter English words from length 15 down to length 10 (if you get shorter than this, there are thousands of words that meet this criterion). If you liked this posting, you might also like to read this one about Hangman.